Ciasiang FoodStuff Sdn Bhd is a family-owned business with a continuous operation for over 10 years since the founder Mr Wee Hai Hua started the business as ‘Ciasiang Food Assembling. 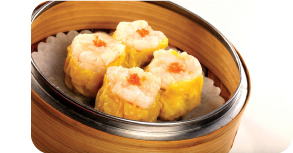 CIASIANG has been established in Malaysia since 1998 specializes in manufacturing and distribution of a variety of traditional dim sum that are convenient and modern enough to take only minutes to serve. Today, our brand name “Ciasiang” has gained household popularity in Malaysia and we are proud to continue to be a market leader in specialized dim sum. Ciasiang quality control standard is the key ingredients of our products. Our quality control starts from the selection of raw materials from certified panels of suppliers to manufacturing of the finished products; only the finest quality of ingredients is used. Our commitment on quality of products has given us good reputation in frozen dim sum manufacturing industry in return. To fulfill the demand of customers, we had invested in food machinery to increase our productivity. Currently, we are in process in applying GMP, HACCP and ISO 9001:2008 to act as a confirmation to our customers support.